Studio version of the award-winning, easy-to-use production software for streaming and recording high-quality live video to Facebook Live, YouTube Live, Twitter, Periscope and many others. 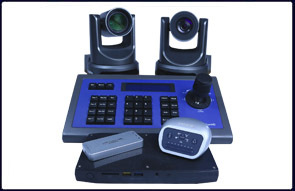 Includes transition library, beautiful graphics, titles, and text controls, as well as advanced features like video conferencing, screen capture, NDI input, chroma key, and audio/video syncing. Easily stream and produce professional video. Turn your laptop or computer into a television studio with Wirecast - the most popular award-winning video production software for Mac and Windows. Perfect for live streams, webinars, webcasts, sports, church services, and education or training videos, and more. Learn more below, or try it for free. 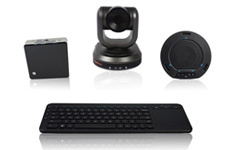 Cameras, microphones, webcams, IP cams, or use the free wireless camera app for iOS. Check out the new X-keys controller for Wirecast Mac or Windows.